One of the things I love about photography is being out in nature in some unique and very beautiful places. I love the hiking, climbing and exploring aspect of it. Photography has taken me to many beautiful places across Australia, New Zealand and Europe, some extremely remote some not so much but all in all it opens your eyes to the world. If you click on the photo to the right it will take you to some of the photos from along the way. If you click HERE it will take you to the About Us page. Recently I have been busing shooting both landscape and commercial photos in the Shellharbour area. If you click on the photo to the right it will take you to the Shellharbour Gallery where you will find new photos of Macquarie Pass National Park including Clover Hill and Rainbow Falls, plus new photos of Albion Park and Shellharbour Beach. For more photos of the Shellharbour region you can click on the photo below on the article from the 30th March 2015. I have new photos from the air of Wollongong, Shellharbour and Kiama. 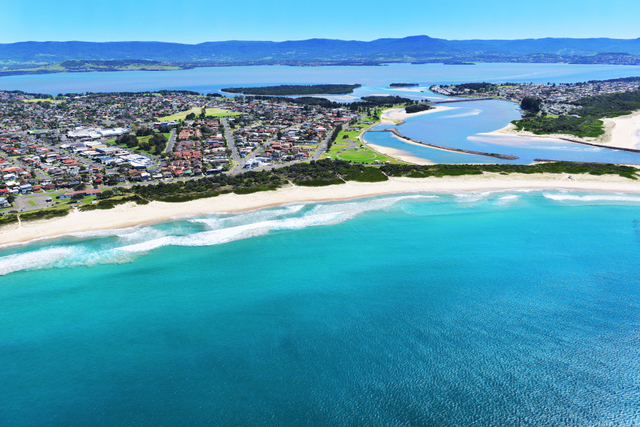 If you click on the photo to the right it will take you to the Illawarra aerial photography gallery and you will find new shots of Minnamurra, Warilla, Windang, Albion Park, Tongarra, Bulli and Sandon Point. Today I delivered a 40x60 Inch canvas, and at this size it has zero pixelation. www.chilby.com.au takes orders as large as 28x42 Inch but If you are looking for a bigger canvas contact Brad via email: brad@chilby.com.au and we can cater to you needs. Chilby Photography has free postage to any destination in Australia and New Zealand. Free Postage to New Zealand! 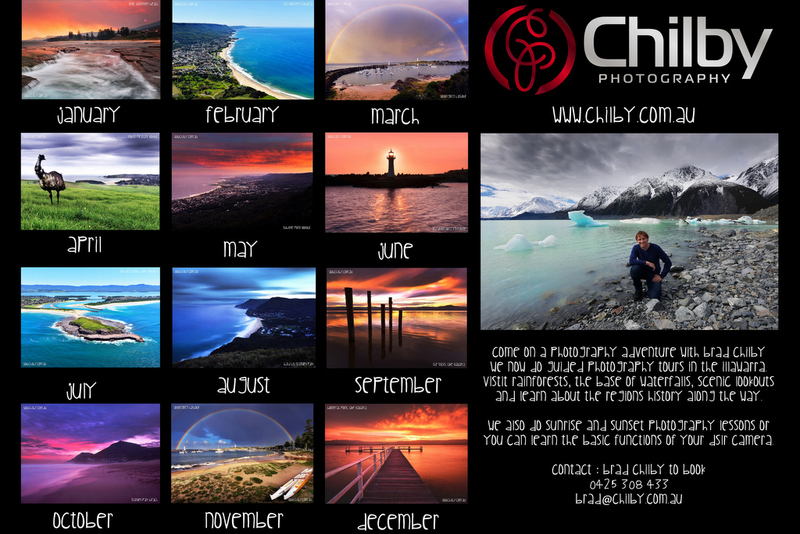 Chilby Photography from today is now offering Free Postage to New Zealand! I absolutely love visiting New Zealand and enjoy photographing the stunning landscapes in this part of the world, It's with pleasure that I announce Free Postage to this part of the world. Chilby Photography also has Free Postage Australia wide. 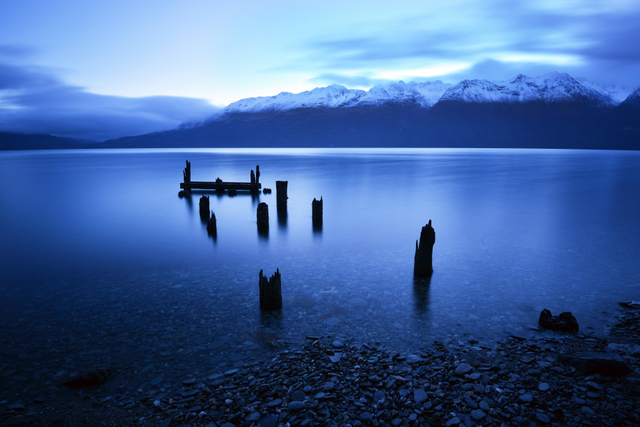 Click on the photo to the right to view the New Zealand Photography Gallery. Tomorrow night at 7pm is the first screening of Pig Iron Bob - The Dalfram Dispute. 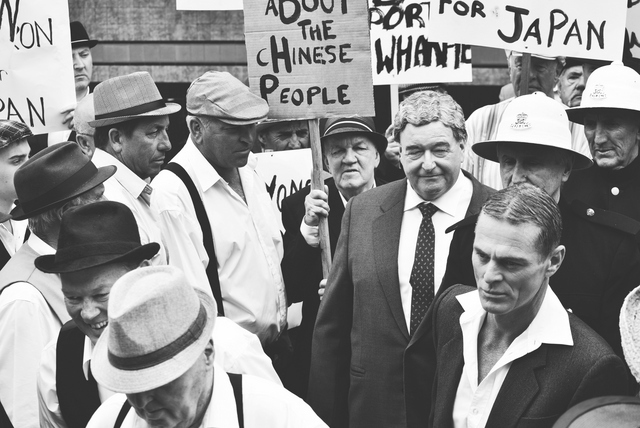 A significant part of Wollongong and Australia's history produced by Why Documentaries. 800 people will be at the Wollongong town hall to see the launch and the DVD is available for sale. Chilby Photography did the still photos for the documentary which are screened thorough out. You can purchase any of the stills by visiting the gallery. Just click on the photo to the right. New Photos of the South Coast! I've returned this week from the beautiful Sapphire Coast of New South Wales. I have updated my Sapphire Coast gallery and you can click on the photo to the right to see the new shots of Camel Rock, Bermagui, Aslings Beach, Eden, Merimbula and more. Qantas 747 landing at Albion Park airport! 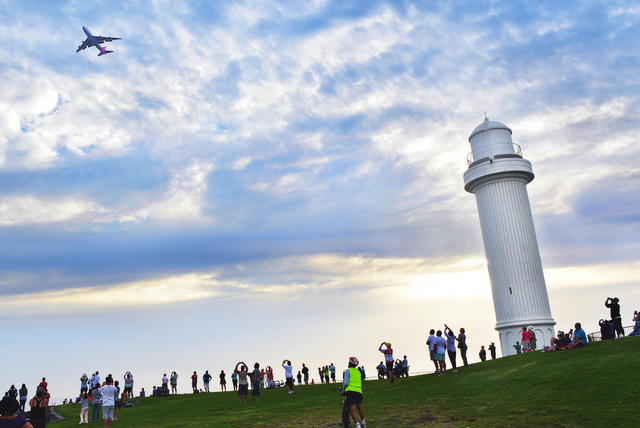 Today was an historic day for Qantas and the Illawarra with the retiring Flying Kangaroo making its last descent over Wollongong and then into Albion Park regional airport. The Qantas VH-OJA is now retired and on public display at the Historical Restoration Society (HARS) hanger. It was gifted to HARS by Qantas as this aircraft was too rich in Australian aviation history to destroy. In 1989 this 747 became the first in the world to fly non-stop from Sydney to London in 20 hours. This is the first ever 747 aircraft to fly into the Illawarra. It took 11 mins from Sydney. 100 Photos of New Zealand! I love New Zealand and had a fantastic time photographing the South Island. I have put together a gallery dedicated to the landscapes of New Zealand with 100 photos showcasing the way I see the land of the long white cloud. 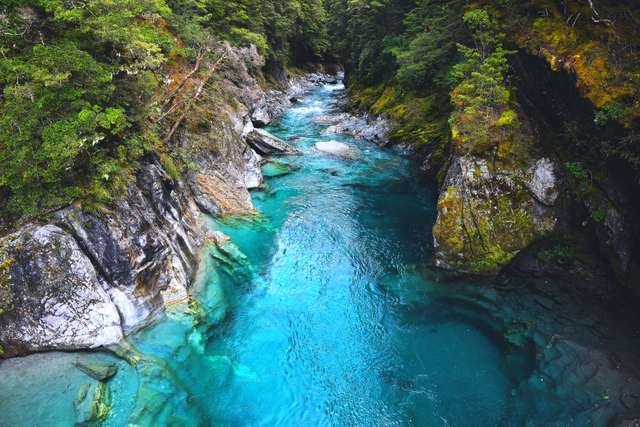 If you click on the photo to the right it will take you to the New Zealand gallery and show you dramatic snow capped Mountains, Aqua blue rivers, Glacial carved valleys, wild waterfalls, snow, ice and much more. New Releases on the way! Over the next few weeks you will start to see plenty of new releases being introduced at Chilby Photography. I have a new range of photos coming from across New Zealand, Sydney, Wollongong and the Southern Highlands. keep on eye on the latest release gallery for the latest photos. You can visit it by clicking on the photo to the right. 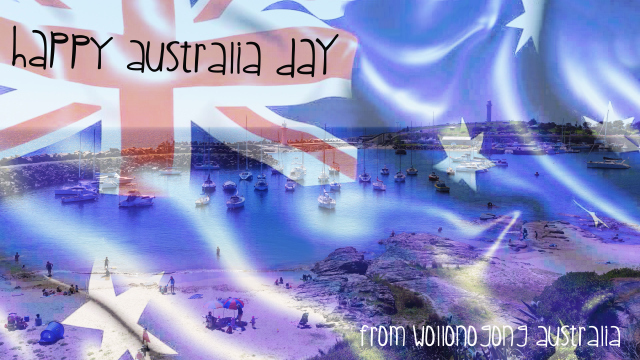 As a very proud local Wollongong, Australian business I would like to wish everyone a very Happy Australia Day. Have a great day with your family and friends and be reminded that we live in an amazing country. All of my products and services are 100% Australian made and you can view my Australian Photos by click on the photo to the right. Have a great day, Cheers Brad Chilby. Happy New Year to all my followers and Customers. I have now returned from an amazing trip to New Zealand and will be working hard to bring you all the new photos very soon. 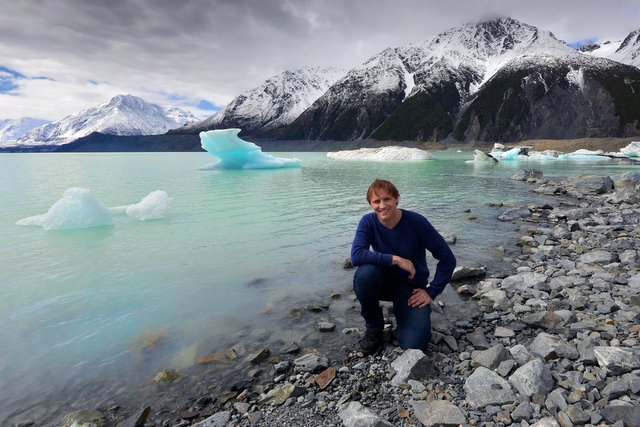 I visited the Franz Josef glacier and the Fox glacier, Tasman Glacier, Mount Cook, Lake Hawea, Lake Matheson, Lake Wanaka, Milford Sound, Queenstown, The Catlins, Dunedin, Christchurch to name a few of the places I got too. 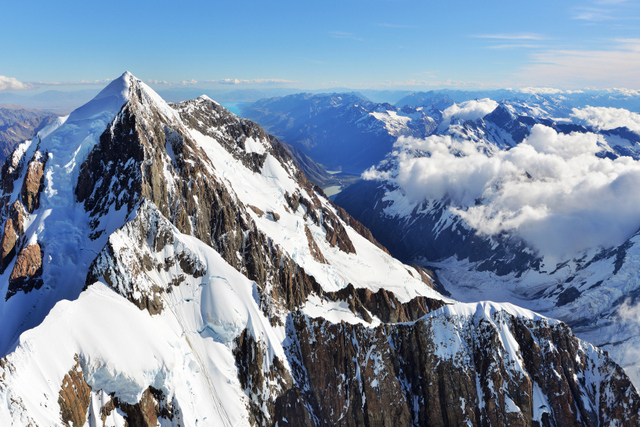 I hope you enjoy the photos and if you click on the photo to the right, it is one of the new releases taken of New Zealand's highest mountain, Mount Cook - Aoraki at 3754 metres. I would like to wish you all a wonderful day tomorrow with family and friends and hope you all have a very Merry Christmas! Thank you all for following my work and supporting Chilby Photography, especially during the Christmas season. All of my products are made locally and by shopping with Chilby Photography you are supporting a small business that cares about Wollongong and Australia. 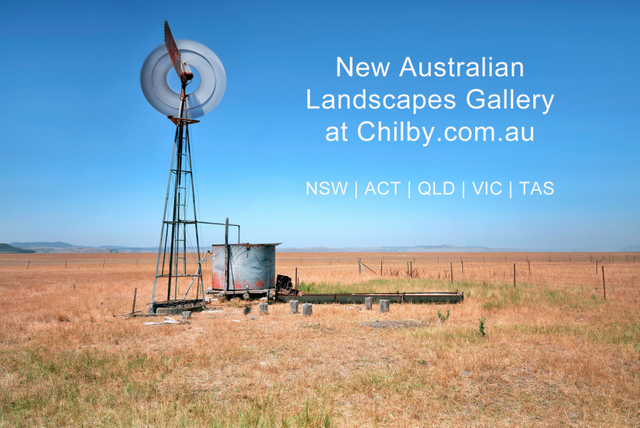 I have a launched a new gallery at Chilby.com.au with photos from across the eastern half of Australia. I have included photos from across NSW, Country NSW, Queensland, Victoria and Tasmania. I will be looking to expand this gallery in the New Year and will hopefully one day soon get over to Western Australia, South Australia and the Northern Territory. I hope you enjoy browsing though them. To View the Gallery click HERE or click on the photo to the right. Stocks running low on 2015 Illawarra Calendars...Get in now! I have a small number of 2015 Illawarra A4 Calendars left and If you order now I can get them to you in time for Christmas. The Calendar has an A4 photo for each month and is wire bounded. It's just $15.00 with Free Postage. I was very proud to be involved with the still photography for the filming of the Pig Iron Bob documentary which is due for release in March next year and set to be a huge hit. 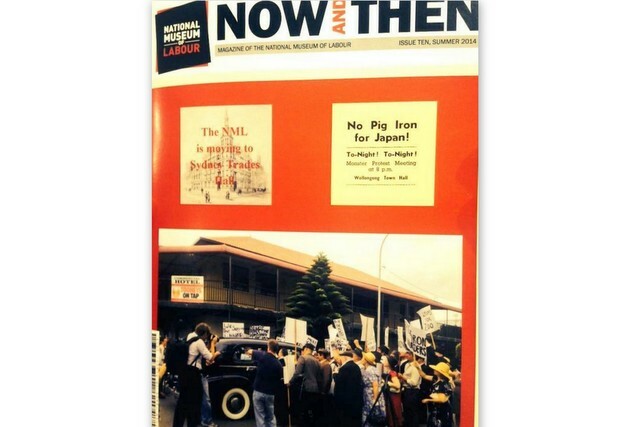 That's me with the camera on the front page of the Now and Then magazine by the National Museum of Labour Summer 2014 Issue. It isn't live online yet but to the right is a picture of the physical front cover. If you click on the photo it will take you to the National of Museum of Labour website where the magazine will be once live. 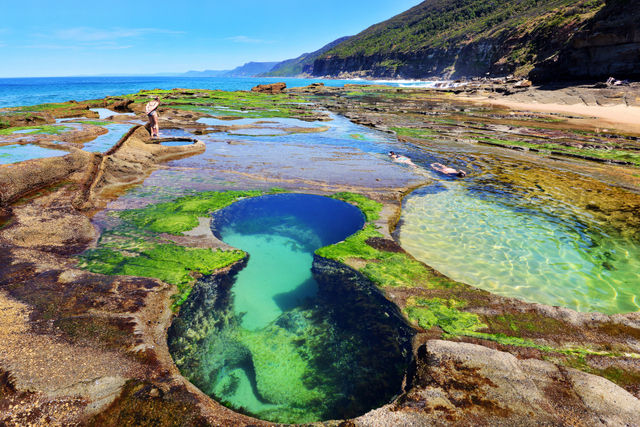 This photo of the Figure 8 Pool in the Royal National Park is one of the most visited photos on my websites and has had thousands and thousands of likes on social media. It's been a real hit since launching it as a new release back in October. 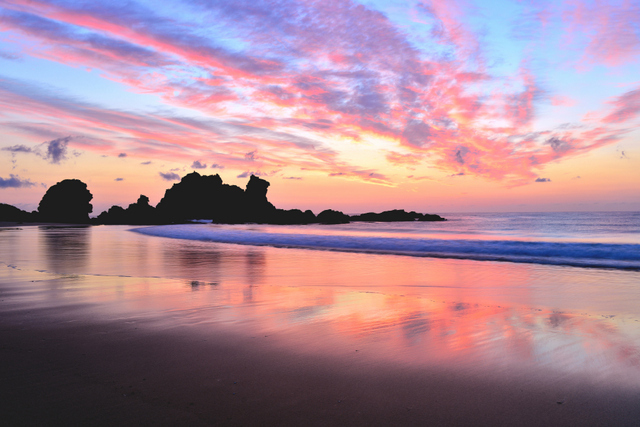 If you would like to purchase this image you can get it direct by clicking HERE. You can purchase any image from Chilby Photography as a Print, Framed Print, Matted Print, Canvas, Metal Print, Glass Print or Photo block. For more information about ordering at Chilby Photography please click HERE or give Brad Chilby a call on 0425 308 433. Chilby Photography has an article in the 2515 Thirroul magazine about the huge 25 metre by 3 metre photo print of Sandon Point boat sheds. 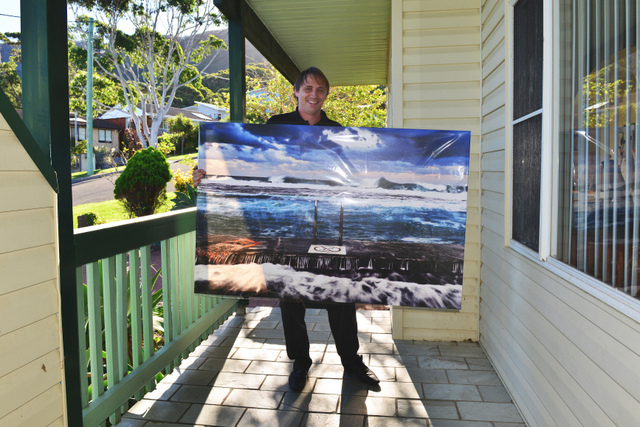 The photo can be found at IGA supermarket Thirroul and runs the length of the hallway. Thirroul IGA recently installed this photo as part of the store makeover that now provides customers in the Northern Illawarra with an excellent product range and a modern store. 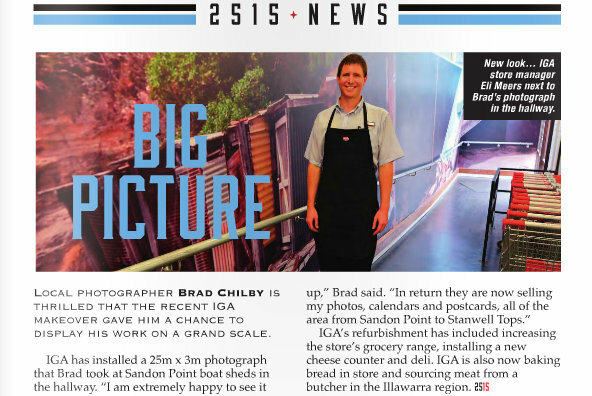 Thirroul IGA also ranges Chilby Photography photos, postcards and calendars. Printed and Designed in Wollongong for Wollongong. 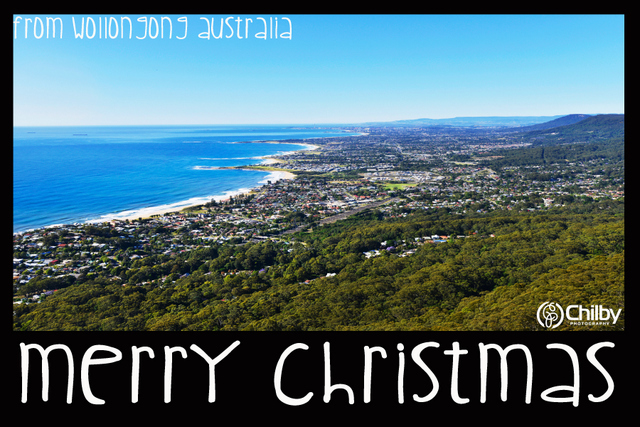 Get your Wollongong and Shellharbour t-shirts in time for Christmas by clicking on the photo to the right. It's a great gift idea for locals and tourists alike. 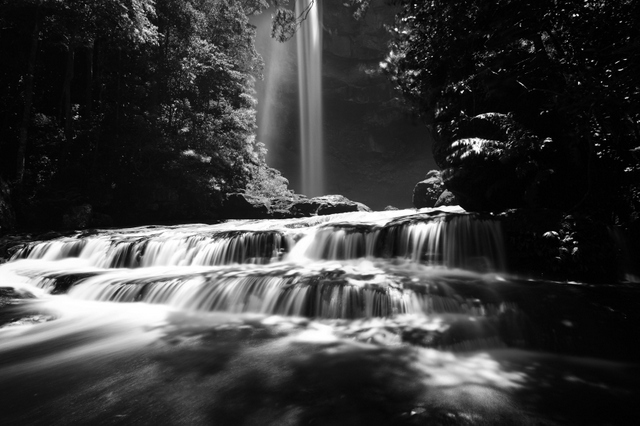 90% of what Chilby Photography produces is made right here in the Illawarra with a 10% being produced in Sydney. You can rest assured your money is staying put right here in the Illawarra if you shop with Chilby Photography. Shop local and support your local community and yourself. 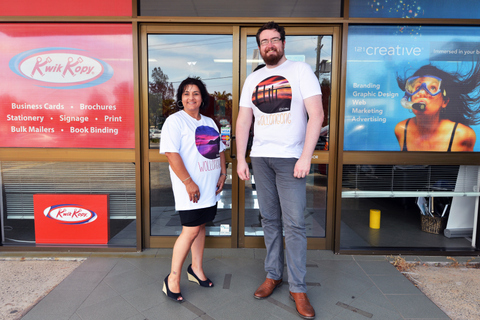 The shirts were designed by 121 Creative Wollongong and you can see them modeling my shirts in the photo. If you need something designed I highly recommend popping in and seeing Stephen at 288 Keira Street, Wollongong. It's very hard to find a good business that will work with you and do the job you want and I found 121 Creative excellent to deal with. Chilby Photography and Sublime Point Restaurant in Thirroul 2515 Magazine. 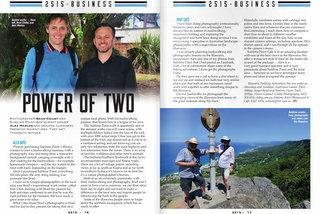 Chilby Photography and Sublime Point restaurant have an article in the Thirroul 2515 Magazine. 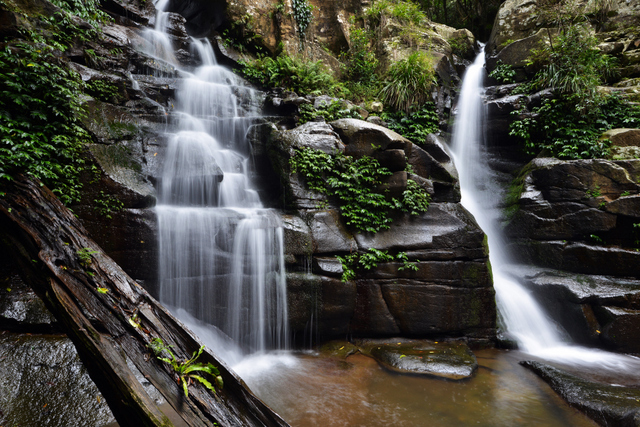 The article highlights the joint business venture that is now offering guided Illawarra Escarpment photography and bushwalking adventures, the walks have a restaurant meal included in the package and transport is available for those coming from outside the Illawarra. Whether you want a leisurely day or an extremely adventurous day we have the hike for you. Click on the photo to the right to read more about the story and what we have to offer. Thank you 2515 Magazine Thirroul for the article.